An adaptation of Rick Remender's comic The Last Days of American Crime has been in the works for years, first with F. Gary Gray directing, followed by Anthony Mandler. Most recently it was Colombiana director Olivier Megaton who took the reins, although nobody had been cast. That may be about to change as THR reports Emmy-nominee Edgar Ramirez is in talks for the story's lead criminal. 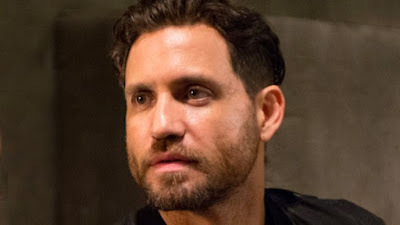 Ramirez, whose recent Emmy nomination was for playing Gianni Versace in American Crime Story, will take on a very different kind of crime tale. Remender's story takes place in the near future when the U.S. government plans to end all crime by broadcasting a mind control signal. The main character is Graham Bricke, a career criminal who joins up with a femme fatale and her boyfriend to pull off the heist of the century before the signal goes live. The script is by Oblivion writer and Stranger Things exec-producer Karl Gajdusek. Upcoming for Ramirez is a villain role in Jungle Cruise opposite Dwayne Johnson and Emily Blunt.